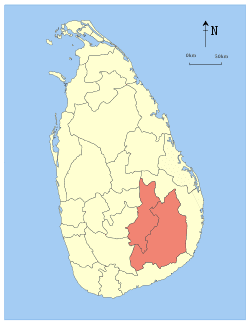 Uva Province (Sinhalese: ඌව පළාත Uva Palata, Tamil: ஊவா மாகாணம் Uva Maakaanam) is Sri Lanka's second least populated province, with 1,259,880 people, created in 1896. It consists of two districts: Badulla and Moneragala. The provincial capital is Badulla. Uva is bordered by Eastern, Southern and Central provinces. 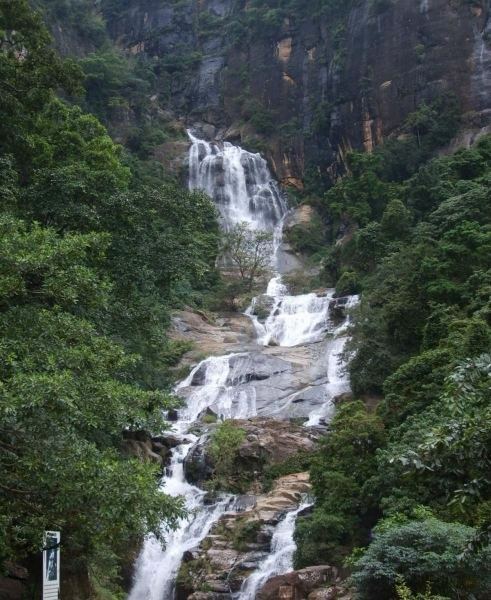 Its major tourist attractions are Dunhinda falls, Diyaluma Falls, Rawana Falls, the Yala National Park (lying partly in the Southern and Eastern Provinces) and Gal Oya National Park (lying partly in the Eastern Province). 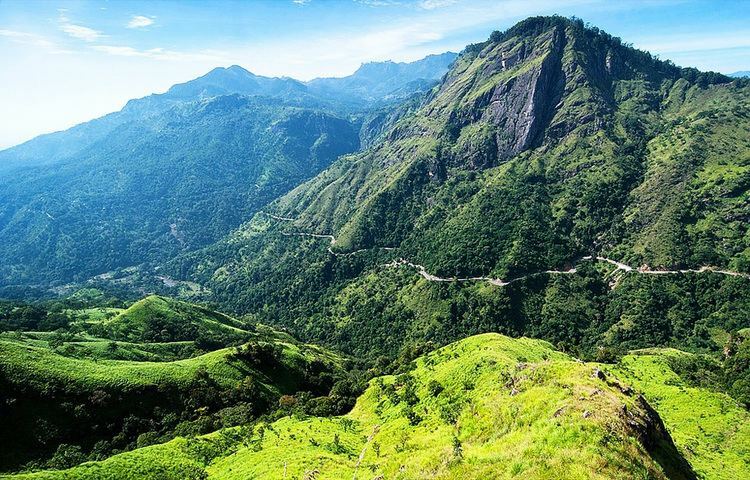 The Gal Oya hills and the Central mountains are the main uplands, while the Mahaweli (Sinhalese: great-sandy) and Menik (Sinhalese: gemstone) rivers and the huge Senanayake Samudraya and Maduru Oya Reservoirs are the major waterways. The provincial history records an 1818 uprising (the Third Kandyan War) against the British colonial government which had been controlling the formally independent Udarata (Sinhalese: Up-Country), of which Uva was a province. The uprising was led by Keppetipola Disawe - a rebel leader that the Sinhalese celebrate even today - who was sent initially by the British Government to stop the uprising.The rebels captured Matale and Kandy before Keppetipola fell ill and was captured - and beheaded by the British. His skull was abnormal - as it was wider than usual - and was sent to Britain for analysis. It was returned to Sri Lanka after independence, and now rests in the Kandyan Museum. The British successfully suppressed the rebellion and as retribution the entire able bodied male population of Uva region above the age of 18 years was killed while homes in the entire region were also destroyed. They also destroyed the irrigation systems, poisoned the wells, killed all cattle and other domesticated animals, and burnt all cultivated fields in the area of uprising. The Wellassa area, the name known to have derived from "wel lakshaya" literally meaning a hundred thousand paddy fields in Sinhalese, was composed of thousands of cultivated paddy fields yielding a substantial harvest. However, this area has not yet recovered from the scorched earth policy of the British. The districts of the Sri Lanka are divided into administrative sub-units known as divisional secretariats. These were originally based on the feudal counties, the korales and ratas. They were formerly known as 'D.R.O. Divisions' after the 'Divisional Revenue Officer'. Later the D.R.O.s became 'Assistant Government Agents' and the Divisions were known as 'A.G.A. Divisions'. Currently, the Divisions are administered by a 'Divisional Secretary', and are known as a 'D.S. Divisions'. There are 26 divisional secretariats divided in Uva Province, which are listed below, by district. 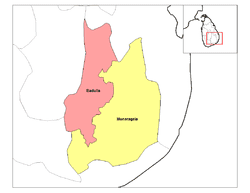 There are 15 in Badulla District and 11 in Moneragala District. Uva's symbolic mountain is Namunukula which stands tallest among the mountain range surrounding the Badulla town. One can get spectacular views of Welimada basin, Katharagama and Hambantota beach from Namunukula peak on a clear day. The views of sun rise and sun set are magnificent too. Haputale mountain range has its tallest, peak Kirigalpottha. Haputale-Beragala gap gives a splendid view of the Southern and Sabaragamuwa provinces on a clear day.